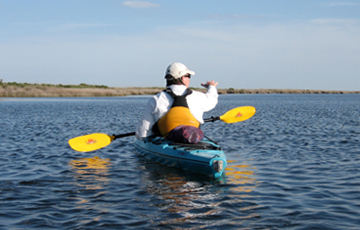 Our Outer Banks kayak tours are geared towards first timers and experienced kayakers alike. You should be of moderate fitness and have no serious health risks. If you have any questions about your condition you should first consult your doctor. With that said, this is a sport for just about anyone. Our kayak tours go at a slow pace and take frequent stops to talk about the area and the wildlife. We cater to all ages and people with disabilities. Please let us know if you have any concerns about whether kayaking is for you or someone in your group. At Coastal Kayak we pride ourselves in our guides. We recruit and hire the most personable people who share our passion for kayaking and the outdoors. Many of our guides are in school studying or recent graduates of wilderness leadership and environmental education programs. All of our guides enjoy teaching and sharing their passion. Our guides are trained in house in kayak safety, coastal ecology, and local history and have a minimum certification of CPR and first-aid. Most of our guides return for 2 or more years of service providing us with the most professional and experienced guides on the Outer Banks. At Coastal Kayak Touring Company we guarantee your kayaking experience. As a wilderness experience we can’t control the wildlife sightings or the weather, but we do stand behind our professionalism and enthusiasm for our sport of kayaking. If you feel we didn’t do everything in our control to provide you with the best wilderness kayaking experience then your next kayak tour with us is FREE! Coastal Kayak Touring Company was founded in 1999 with a passion for kayaking and coastal ecology. 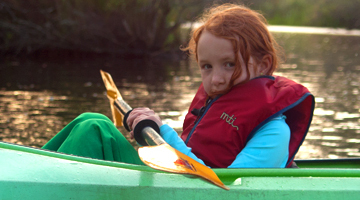 Our interest in kayaking was born at Project U.S.E., an outdoor education organization in New Jersey. 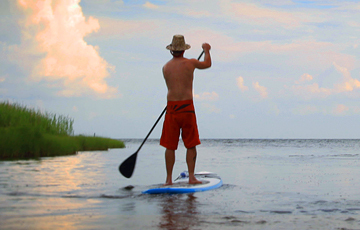 Through a five day tour we lead for youth at risk, we discovered the Outer Banks as a “paddlers’ paradise”. A year later Coastal Kayak was born. 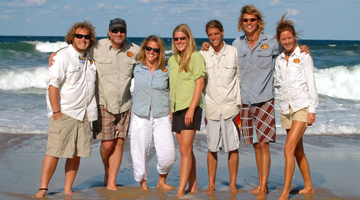 Since our inception, we have gained the status as the Outer Banks’ premier kayak touring company. We achieved this status through our commitment to service, ecological education and new tour development. Coastal Kayak Touring Company was named a National Geographic Top 100 America’s Best Adventures. 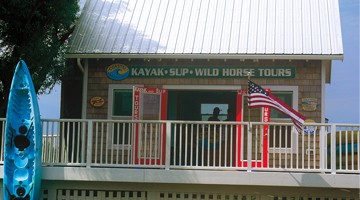 Coastal Kayak Touring Company is located at the Waterfront Shops in Duck, North Carolina. Come on in and see what we’re all about.